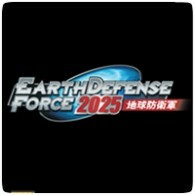 The sequel to Earth Defense Force 2017, Earth Defense Force 2025, has been confirmed for release on the PS3 in February 2014 in North America and Europe. In addition to a release window, the game’s pre-order incentives have also been revealed. Four weapon packs will be available when pre-ordering the game or by purchasing the DLC. Pure Decoy Launcher (Setsu) — a weapon that distracts the enemy by discharging a large balloon that takes the shape of an attractive female, but the enemies will meet their fate when the balloon unexpectedly self destructs, destroying everything in its vicinity. The BMO3 Vegalta Gold — a limited edition, gold-coated model that will reflect radar waves and has a combat burner to throw flames. Players will also be able to take flight for short periods of time with it equipped. Ifrit — A cannon that launches rockets that will separate and disperse over the sea. Each rocket is equipped with multiple incendiary bombs that will ignite upon contact, causing massive damage. Blood Storm — A powerful cannon that will separate midair and rain down on the enemy’s head and inflict damage on an entire area. Reflectron Laser — A special laser that fires in two directions and can even shoot through narrow passageways. It’s an effective weapon with giant insects, as it can maximize range without obstruction. Gleipnir — This super weapon silently discharges balls of energy with the ability to launch continuous attacks. Only Wing Divers can use this weapon, as it requires the Psionic Link. Volatile Napalm — A military grade discharge device that sets everything ablaze and damages the target and surrounding areas. Pure Decoy Launcher (Mian) — a weapon that distracts the enemy by discharging a large balloon that takes the shape of an attractive female, but the enemies will meet their fate when the balloon unexpectedly self destructs, destroying everything in its vicinity.